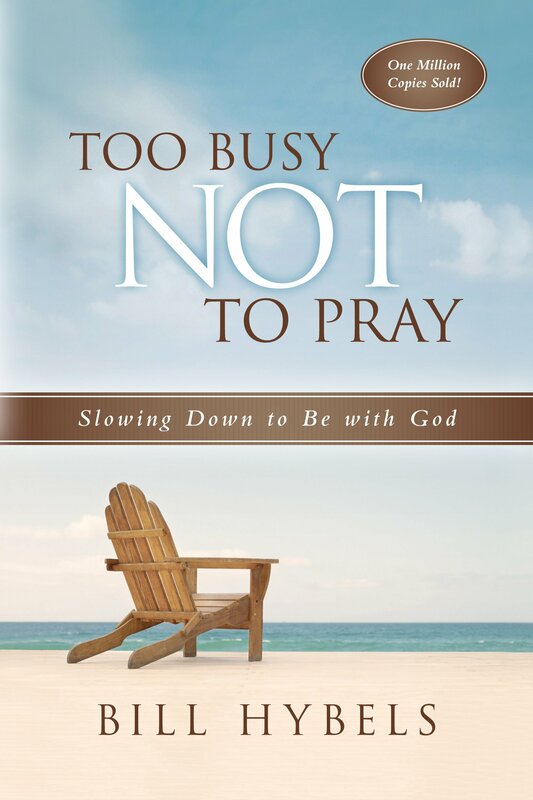 Ever hear of a book by Bill Hybels, Too Busy Not to Pray? It's been around for a while. It observes that when we're in a season of intense busyness, we tend to focus on the task at hand and let everything else go. The housework. Cooking. And yes, even praying. 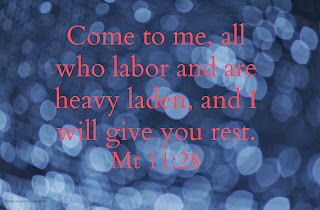 Hybels suggests the busier we are, the more we need to pray. It's contrary to our natures, but it makes sense. When we trust God to handle all the details, He proves His ability, care, and grace. When we hoard our fears, stresses and details (and perhaps even idolize our busyness), we get less done in more time, at greater cost. Lately I've been under several writing deadlines -- awesome! But I've had the attitude that other things need to go on hold so I can meet these deadlines. While it's ok to serve simple crockpot meals and put off a teeth cleaning, however, it's not wise to cut prayer from my life. Although, I admit, I was tempted. Before some deadline opportunities came up, I said I'd judge the ACFW Carols. Then I received some writing opportunities...and a lovely stack of books that require careful reading and thoughtful evaluation, all at the same time. I admit, once I got busy with deadlines, I didn't want to read the books. At least, not at the moment. Later, sure. But that's not how it works with contests. These authors worked for months, sometimes years, on these novels. Their literal blood, sweat and tears went into them, along with their hopes. As a judge, I owe their novels the attention and consideration such efforts deserved. Curl up with an afghan and read! Reading makes me a better writer. I love it when I'm stuck on something in my story, and then I see how another author handles those challenges. Weaving scenery into action, or making a character likable, or...the list goes on. Reading teaches us out to write. Reading recently-released novels teaches me what publishers are buying and helps me follow trends. This helps mold my ideas for future stories and shows me what's popular. Reading fellow authors and reviewing helps me give back to the writing community which has helped me so greatly in my journey. I wouldn't be where I am without about a hundred people. Probably more. The other bloggers here at Inkwell, critique partners, fellow authors on the loops I belong to, nameless contest judges, my agent, my editors...all of them have given to me to help make me a better writer. I need and want to give back, too. One of the many ways to do this is to read and promote others' fiction! Reading introduces me to new authors. They may become favorites. They may become friends. When I'm not so busy, I can read more of their books. Perhaps one of the biggest blessings...Reading takes me out of the Universe of my story and gives me escape into another universe where I am not responsible for the characters; I do not plot, I do not plan. I just enjoy. This is important for my mental health. It relaxes my brain and my body. So there are five reasons why I'm pausing to read, even when I feel too busy to do so. True, there are times when we enter what I call "Crisis mode" and we have to set aside any and every extraneous activity, like reading. Those weeks, I type every minute of the day that I can. But these should be seasons--preferably short ones--because it isn't good to live in high stress. Susanne Dietze is the author of over half-dozen new and coming historical romances. Her most recent is the novella For a Song in EPCA and Publisher's Weekly Bestseller The Cowboy's Bride Collection. 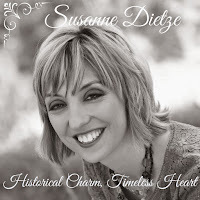 Visit her on her website, www.susannedietze.com. I am currently reading, Sophi's Bridge by Christine Lindsay. It was released on Friday and I should have had it read already, but over the years my reading has slowed as I immerse myself in the story. Ooh, I've heard good things about that, Anita. Glad to hear you're enjoying it. I wish I could share what I'm reading for the Carols, but I will say they've all been great! I'm judging women's fiction for the Grace Awards. Not my genre which is why I like it! But I always have two audiobooks going and that helps a lot. I cram reading into all the moments I can. For years, I stuck with reading historical romance because I thought I should stick with a genre I was more likely to publish in. But it definitely didn't work for me, and mixing genres really helps me feel fresher when it's time to write. Audio books are great, Deb, and I like that you read so many genres. I mix up what I read, too. It's fun and it also gives me a different take on the writing. So much to read for my current WIP and I think its making me realize how much I ramble on without making much sense, or just repeat myself.